PRINCE OF TENNIS WEDDING THEMED ANIKUJI!!! Awww the MCF and the keychains are really nice!!!! <3 please reserve them to me. The ones with Fuji. Sure thing!! They are actually not Mini Clear Files, they are full size Clear Files, 2 in each set, do you still want the set? Yes please. Waaaahh i thought they were mini cfs... That is even better!!!!! Yay!!!! 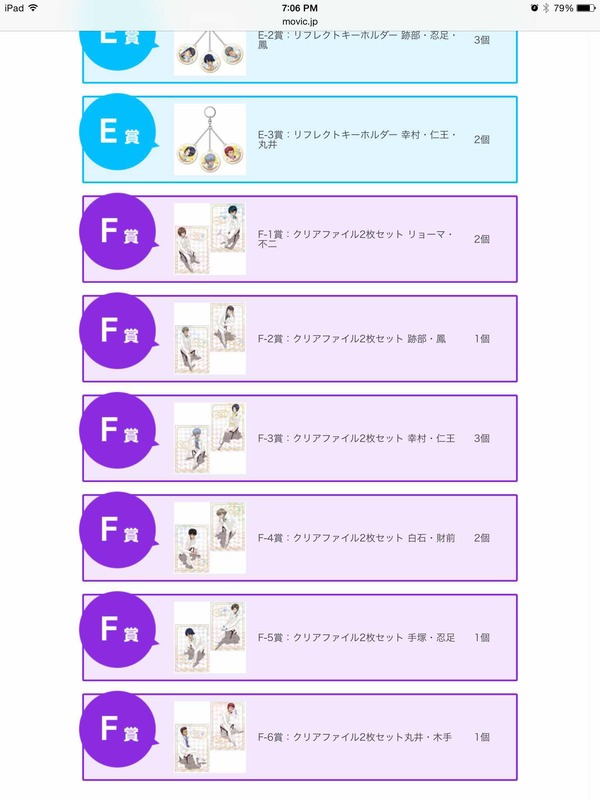 So that is the uhm Seigaku Keyholder and Fuji-Echizen CF. Alrighty! I only got one Seigaku Keyholder so you are the lucky one! Yay.. When the Anikuji images got out, I've had my eyes on these itEms. Haha thank you!! 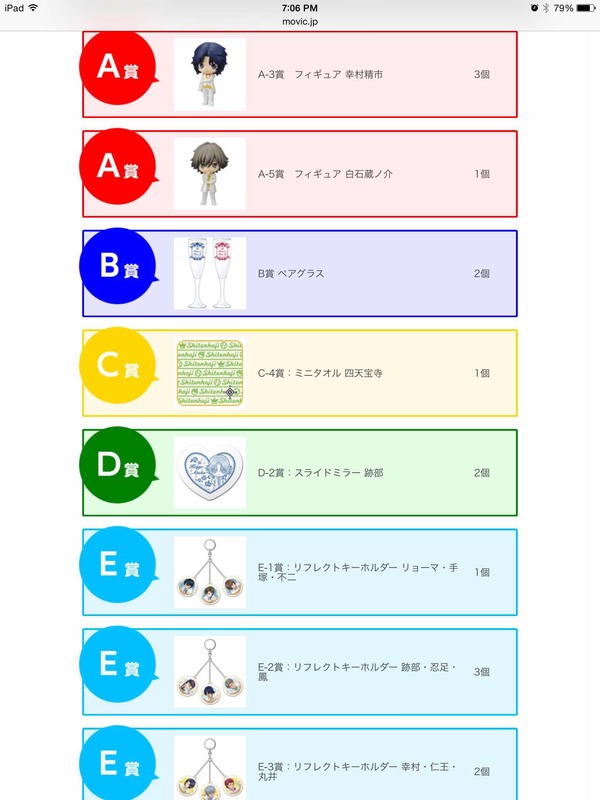 Rikkai Keyholder, Niou Clear File and the Shiraishi Figure Please!! Oh okay sure, I will save a Hyotei keyholder for her. I have actually been trying to contact her for a while now for payments of the other things she held, so thank you for reaching out to her for me! Yaaaaay! I cant wait to have them. Thank you! Anikuji CFs are the one thing that I can't resist otl. So, put me down for the Niou/Yukimura one please! Hehehee okay!!! I will save one set of Niou/Yuki for you!! Do you want Zaizen? One of the members is hoping for just Shiraishi, so if you want Zaizen, I can split that set up between you two, if you want =) Let me know! Hi C-chan, sure, your reservations will be the last of each set, so you are lucky! Hi C-chan! The clear file sets are here!! But I am super busy until after the 21st, so is the weekend of the 23rd or 24th okay to ship them out to you? Sorry! Can I order all the Fuji from you if you still have them esp the folder? ^^; Thanks! Can you reserve the wedding glasses for me? Thank u!